The NFL Playoffs have begun! I love seeing and feeling the passion in a Playoff game – the intensity is palatable. This week, I was also struck by the intensity and power of the hits players endure. I forget, sitting on my comfortable couch, these are 250+ pound guys, running fast and smashing into each other! The bigger the hit the louder the cheer, but often the guy getting hit doesn’t seem to know where (or who) he is as he gets up! The pain must be intense. I don’t care how macho they try to look – it has to hurt like hell to get pummeled the way they do. Add frigid temperatures and rock hard turf and you start to wonder why they do it. It is expected they give more each play. Bottom line – not only are they expected to play in pain – the great ones flourish and excel in pain. When you choose a profession, you shouldn’t expect (or want) a pain-free career. In fact, I advocate if you are “pain-free,” you’ll come to hate your career (and life). Without pain – you greatly limit your daily experience and your full potential! Understand that “pain” for you isn’t the physical kind like in sports. Instead, it is psychological and emotional. The pain you must play in is called vulnerability. Vulnerable: 1. capable of being physically or emotionally wounded; 2. open to attack or damage; 3. assailable. Wow – sign me up! Sounds great! NOT! 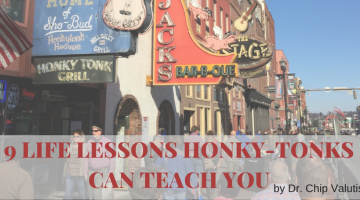 It is no surprise you don’t want to play with this type of pain – it isn’t fun. Just remember, if you avoid situations where you can be emotionally wounded or open to criticism there are consequences. While the avoidance of vulnerability may first seem wise – over time, you leave the field of play and find yourself sitting on the sidelines. If you sit on the sidelines – you get left behind. You miss out. Ironically, avoiding pain (vulnerability) in order to protect, kills you with mediocrity. You stagnate and settle. These are each ‘moments of truth’ where you choose to be vulnerable and engage or choose to walk away (while rationalizing to yourself it would be dumb to try). Be careful – unless you regularly force yourself to “play in pain” – you slowly lose your edge. Eventually, you become too afraid to engage. Deliberately seek out situations that transcend your comfort zone and just do it! Start to fail – small failure at first and then bigger. Make a point to be notably vulnerable at least once a week. Keep a journal of situations and relationships where you choose to avoid pain – force yourself to engage one of these every month. Strive for one significant failure this year. I hope y0u never learn what it feels like to be tackled by a 350-pound lineman. I hope more that you accept vulnerability as the price of a rich and rewarding life. Sign up to get a weekly serving of wisdom and perspective to change your life! As a Psychologist working in industry, I have heard and seen it all. 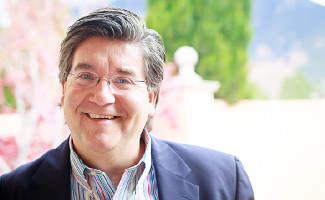 I’ve worked with Fortune 500 Companies as well as smaller, entrepreneurial enterprises. I coach CEOs and first time leaders. I develop new leadership teams and/or help teams who have lost their effectiveness. I work at an organizational level addressing complex systemic challenges and at an individual level helping leaders learn to lead. 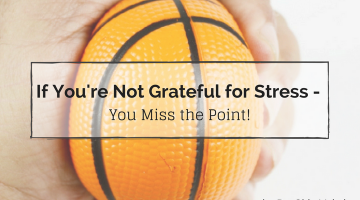 If you’re not grateful for stress – you miss the point! 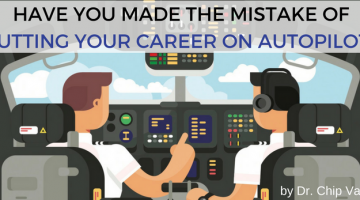 Have you made the mistake of putting your career on Autopilot?